An event that sees you get a pedicure, massage and manicure all in the one morning is something that I have never experienced before at an event until I was invited along to Scholl's Perfect Pedi Event. Located at the top of Adelphi Hotel in Melbourne CBD with stunning views of the city, the perfect place to be that early in the morning. Scholl have been around for many years and you will probably know them as your Nana's favorite product to help with the sore feet that helps with the corns. Scholl have done some massive things on the market lately and they have certainly been catching my eye with their new range of products that can be a target for any age. Scholl are well known to me for having DIY in home salon products, for those perfect pedicures and manicures. Prior to this event I tried out the Velvet Smooth Express Pedi which I thought was a product well suited to between those visits to the salon but that was because I had no information, knowledge or anything to understand their products and how best to use them. 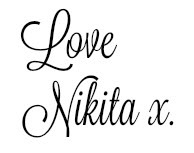 Having events is great for taking information, directions and knowledge away so I can benefit myself with using the products and help educate you as my readers and share my knowledge. 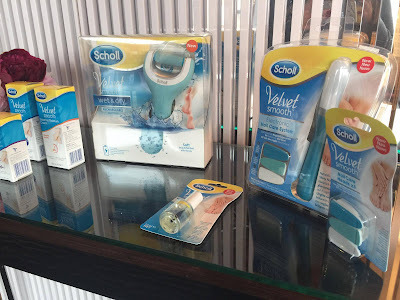 Scholl have launched their new Velvet Smooth Electronic Wet & Dry Foot File in which we got to see in the flesh and experience on our own tootsies at the event. The Velvet Smooth Electronic Wet & Dry Foot File is cordless, battery operated and can be used in both wet and dry conditions. No mess when you can take it into the shower and easily get rid of all the dead dry skin and leave your feet all nourished and like a baby's bottom again. The thing is with those 'graters' as I call them that they use in the salons, they are too harsh on our skin and we don't need to be damaging our skin like that. We need to massage it almost to get it all plump and gradually buff out the dry skin. Another product that we were shown was the Scholl Velvet Smooth Electronic Nail Care System. Unfortunately I didn't get to try this one out at the event due to having shellac on my nails already, bummer! The Velvet Smooth Electronic Nail Care System can be used on both finger nails and toe nails. It will file, buff and shine the nails. You only need 1 x AA battery and away you go. Both these products are simple to use and are a perfect price point buy. Girls Night In would be complete with both these products. 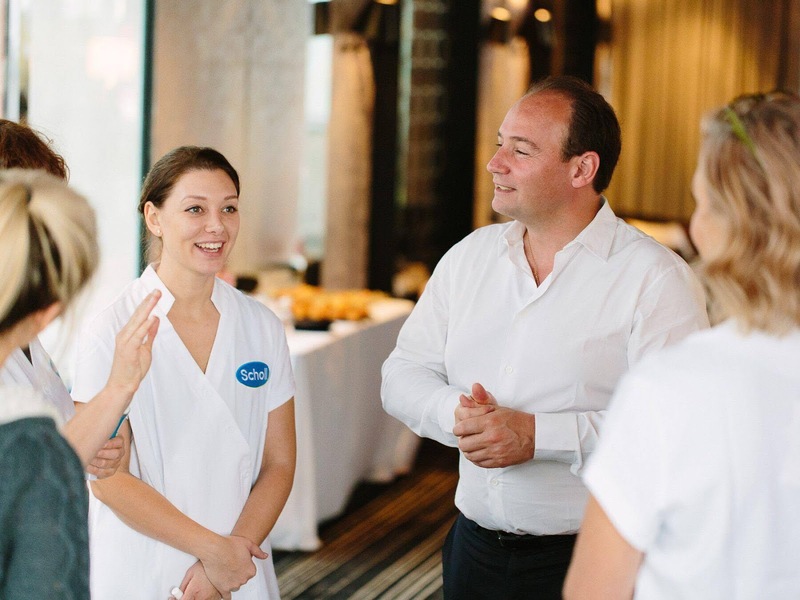 Bastien Gonzalez who is the ambassador for Scholl Australia was in our presence teaching us many things about foot care. Many laughs shared as he was a very funny man. I want to leave you with Bastien's tips as I think they are most beneficial to us all. 2. When you want to purchase new shoes, choose your shoes at the end of the day when your feet are at their largest. Don’t try to force your feet in to shoes that are too small or you’ll end up suffering for it when you could just choose a size that fits. 3. Change your shoes regularly and try not to wear one style of footwear too often. The best thing you can do for your feet is to change shoes once a day. 4. As soon as you are back home, take off your shoes, roll the toes and move your joints to keep the mobility and avoid hammertoes. 5 seconds is all it takes. 5. To help avoid foot pains, the only tool you need is time: time to massage your feet every evening to work on foot mobility, skin elasticity, blood circulation and to re-pump the fatty cushions under your feet. I’d advise a moistening cream to finish the job off, such as Scholl’s Velvet Smooth Essential Moisture Cream. 6. Scrub your feet two times a week to clear away dead skin cells. Never be too rough on the skin. Use a tool such Scholl’s Velvet Smooth Wet & Dry Foot File and let the rotating head do the hard work for you. 7. Use Scholl’s Velvet Smooth Essential Moisture Cream every night before you go to sleep. Regular application of the cream over 3 weeks will help improve the condition of your feet on your journey toto beautiful skin. 8. For perfect nails, file your nail into a square shape and gently make the corner round to help avoid any ingrowing nails. Never cut the nail on the side. A great tool for sculpting nails is Scholl’s Electronic Nail Care System. 9. Do not push or cut your cuticles. Use an oil such as Scholl’s Velvet Smooth Nail Care Oil to keep them soft & strong as they’re a natural protection against bacteria and infection. Disclosure: This post has been made in collaboration with Scholl. I was gifted the above mentioned products and invited along to the event as above mentioned with no expectation for its promotion here. I received no payment for this review and all opinions expressed in this post are entirely my own.